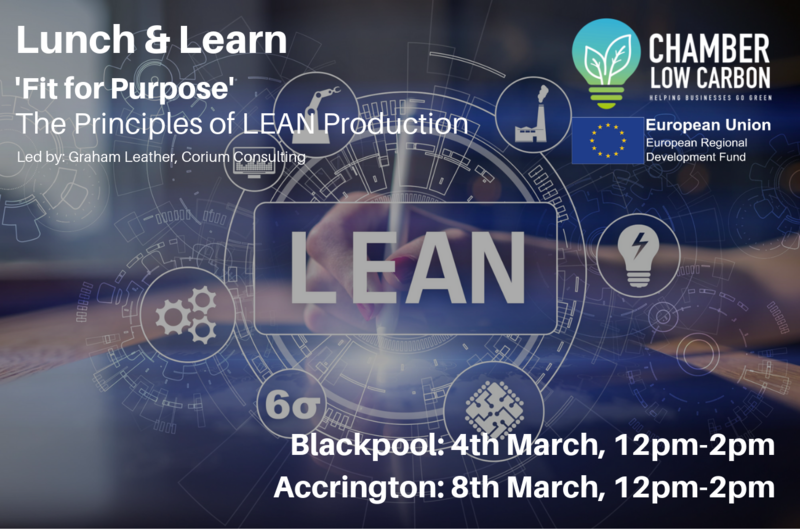 Presentation slides for the Lunch & Learn workshop ‘Fit for Purpose’ The Principles of Lean Production held on 4th & 8th March 2019 in Blackpool & Accrington respectively. Led by Graham Leather of Graham Leather Consulting & Coaching. They may not seem like much but small leaks can be big source of waste and be costing you money. 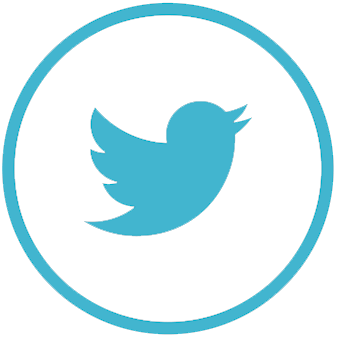 Let us help you identify areas of waste and what you can do about it. The workshop will be led by Ged Heffernan, founder and Managing Director of Fern Innovations. 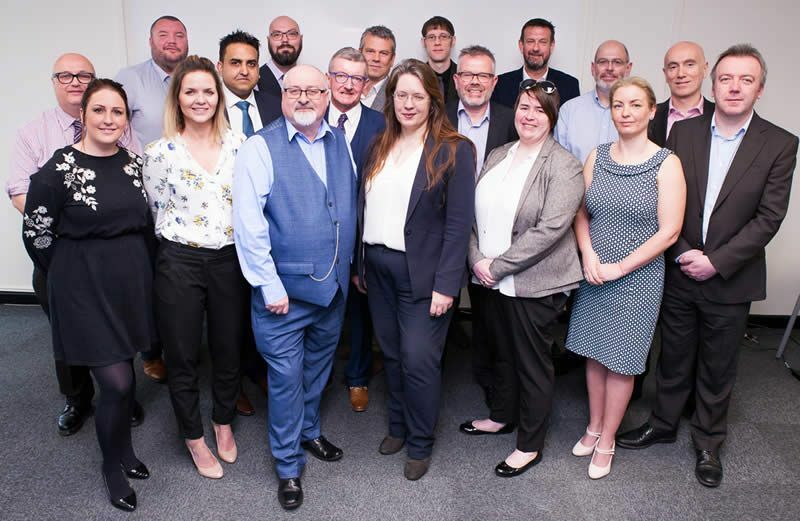 Ged has a track record of achievements during more than 20 years of operations and programme management within corporates including: Rolls-Royce plc, BAE Systems, Renold Chain, Mercedes-Benz F1 and IndyCar. Building upon this led to engagement in technology based start-ups as founder, owner, CEO, Non-Executive Director and Consultant. 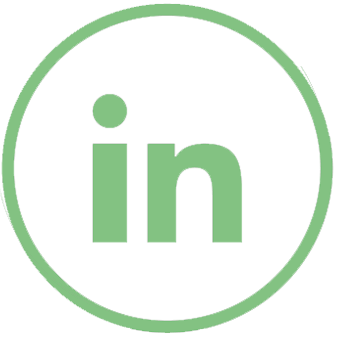 Fern Innovation is a consultancy providing support to start-up, SME and corporate businesses in developing and delivering new product introduction and growth programmes, with particular focus on Renewable Energy, Cleantech, Manufacturing and Energy. Water management is often overlooked by the drive to reduce energy bills when saving water can save £thousands a year, sometimes with very short payback periods, and it reduces carbon emissions, too. Avoiding 6 and 7 figure fines by controlling Legionella risks, you’d be amazed how many businesses are dicing with death! 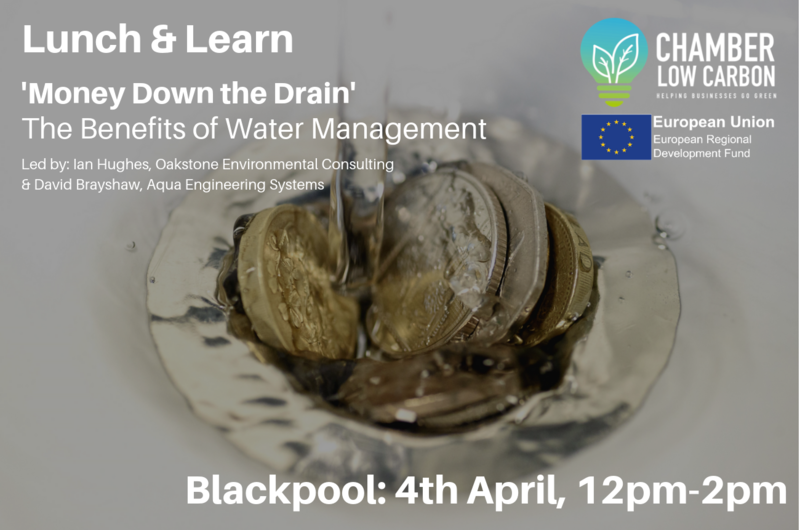 The session will be led by Ian Hughes of Oakstone Environmental Consulting. Starting his professional life in the Royal Navy, Ian later worked in corporate Safety and Environment for Centrica (offshore gas) before going self employed in 2000. He undertook a 4 year full time Master’s degree in Natural Sciences as a mature student graduating from Lancaster University in 2017. Since then he has completed diplomas in Environmental Management, Water Conservation and Management and Legionella Risk Management working as a freelance consultant in his own business Oakstone Environmental Consulting Ltd. Although specialising in water management predominantly, Ian also undertakes all aspects of environmental sustainability work. 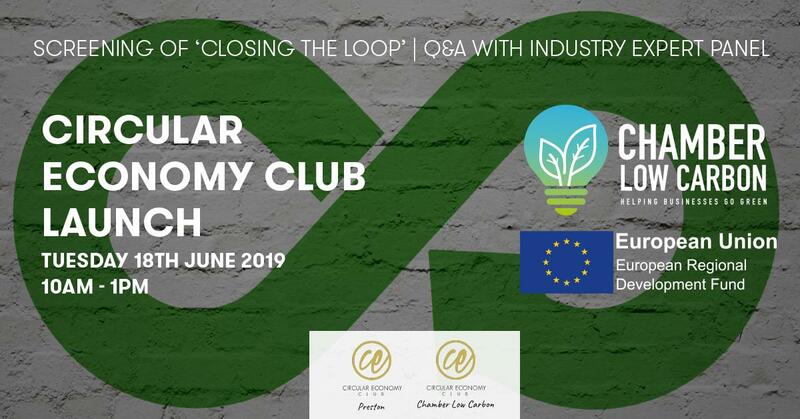 Chamber Low Carbon would like to let you know about a upcoming Free conference on Planning for Clean Energy and a Low Carbon Economy being held in Preston on the 15th March 2019. 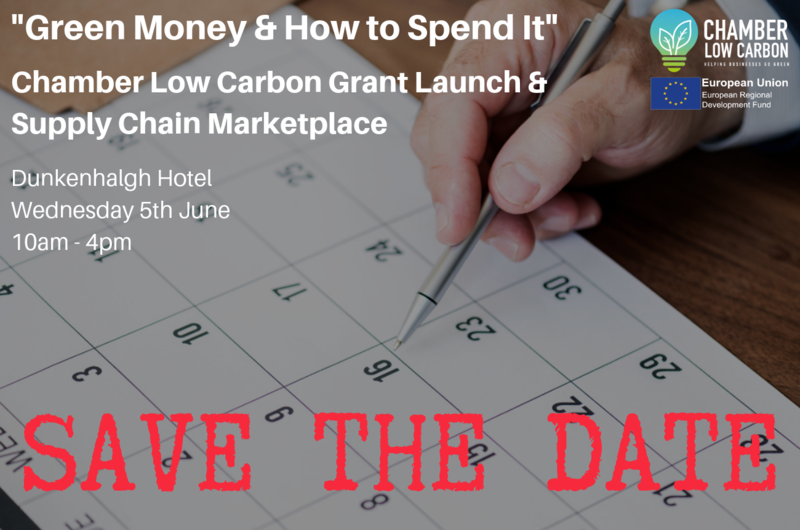 Bringing together business, local government and community groups you will hear about the differing roles they each play to accelerate the clean energy and low carbon economy transition in Lancashire, the North West and the rest of the UK. The purpose of the day is about understanding how these varied stakeholders can maximise collaboration and positive outcomes while working together throughout transition. The conference is running two separate sessions: morning and afternoon. Attendees may register for an individual session or register for the full day. While falling solar energy prices are good news, living in history’s warmest decade is not. However, using low-cost, low-carbon power beamed straight to us from our local star, we can build a cooler, cleaner world with the Sun’s “dirty” old fossil-fuels left safely in the ground. Renewable energy is about to change every UK workplace and home, revolutionising global energy as we currently know it, according to the London-based multinational energy giant, BP. This may sound like a ground-breaking admission from one of the world’s seven oil and gas “supermajors”. However, with the caveat that oil will still be with us for a long time to come, BP adds that renewables will be Earth’s main power source within two decades, gaining ground faster than any fuel in history. In fact, it predicts that “fuels” like wind and solar energy will account for circa 30% of global electricity supplies by 2040, and up to 50% in Europe. Today, they represent just 10%. But BP goes further. If we switch to a low carbon economy even faster, the timeframe could fall from 2040 to 2035, a historic shift that would be “literally off the charts”, it adds. This calls for strategic governmental changes but also “many small points of light”. 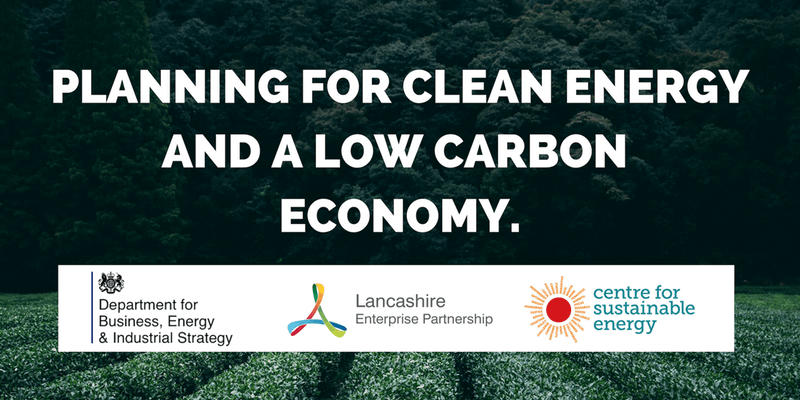 The Low Carbon Programme encourages North West companies to maximise their “green” power opportunities. By good luck, this coincides with important developments for both large- and small-scale solar energy users. Offshore wind energy cost also continues to fall. 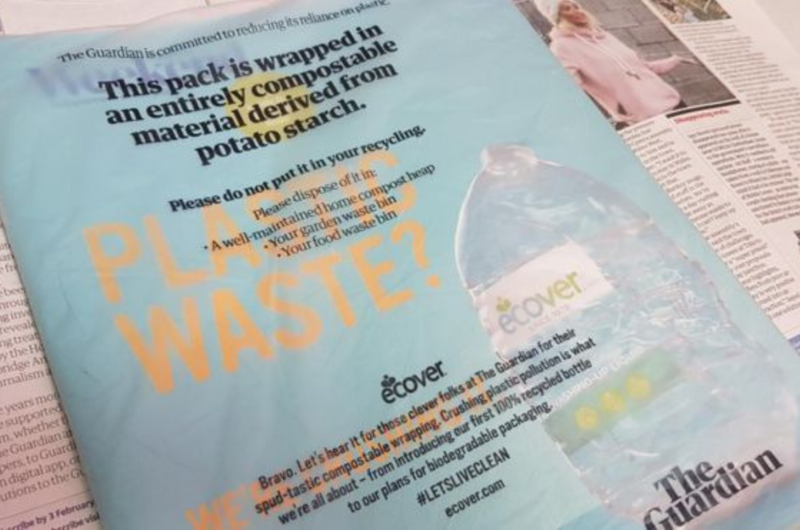 However, before outlining how the Programme team helps to pinpoint commercial solutions for individual companies, several other recent headlines underline why low-carbon energy is crucially important in the global climate change battle. Later, we look at falling solar energy costs, and the Met Office’s news that we are in the hottest decade since 1850. Meanwhile, there have been several worrying and some more positive developments. In late February, the Government’s environmental advisor, the Committee on Climate Change (CCC), warned that new homes could be barred from the national gas grid by 2025 if the UK is to meet its legally-binding 2050 greenhouse gas (GHG) emissions reduction target of 80%. This is an obvious open goal for sustainable energy, including heat pumps which draw hidden heat from the ground, local lakes, and even the sea. Earlier in February, the Institute for Policy Research (IPPR) think-tank also warned that critical human impacts could destabilise society and the global economy through a “complex, dynamic” and high-speed combination of climate change, species loss, topsoil erosion, forest felling and acidifying oceans. On the plus side, the UK’s 2017 GHG footprint was 2.7% lower than in 2016 – and 42.1% lower than in 1990 – largely due to a 27% fall in coal-fired power station use. This also sounds like a great renewables replacement opportunity! But the CCC says much more carbon-cutting is still needed. Ministers are on track for short-term goals but short of policies to achieve long-term targets. If doubts about the next generation of complex, expensive nuclear power stations are added, the case for renewables in the UK’s future sustainable energy mix becomes even stronger. 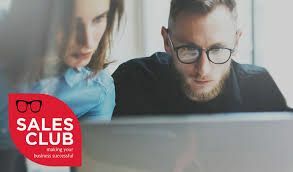 North West businesses, and millions of similar companies around the world, can and are beginning to make a substantial difference that also has clear bottom-line advantages. The Low Carbon Programme team is able to help in several ways. We introduce companies to green energy suppliers. Where processes and equipment need replacing, upgrading or updating – for example, inefficient water heating boilers – we can also help to identify solar or small wind-turbine options and put you in touch with the best local suppliers. In parallel, we are building up local and regional sustainable energy supply chains. These include equipment manufacturers, installation and maintenance experts, plus support services such as companies able to confirm whether an existing roof-structure has the strength to carry extra loads, plumbers, firms specialising in installing buried connection cables, and many more. Please get in touch if you would like our help – or think you can help in your particular area. We’d be pleased to hear from you. 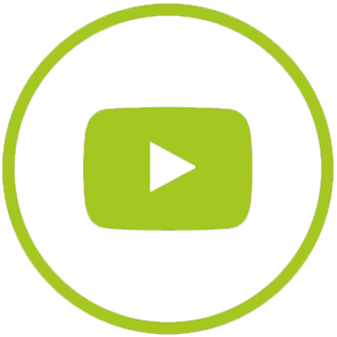 Our starting point with companies is a joint energy and environmental performance review. This identifies where technology can help to minimise your carbon footprint, often by using energy more efficiently, as with low-carbon LED lighting. 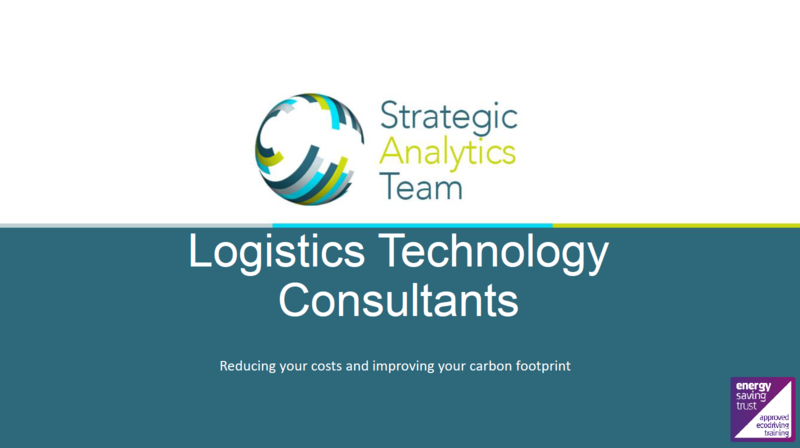 Each Practical Action Plan is tailored to specific company circumstances and maximising the low-carbon and commercial advantages. For example, some solar installation providers will “rent SME roof space”, providing renewable energy on-site at low prices but selling any excess to the grid. The National Grid estimates the UK could be on track for a solar capacity of 18GW by 2030; installed capacity at end-2017 was 12.8 GW. In comparison, by mid-December 2018, UK installed wind energy capacity was calculated as 12.3GW onshore and 7.9GW offshore, making us the world’s fourth largest wind power generator. China is the world’s largest solar power installer with 52GW in 2017. With limited Government funding, any form of low-carbon energy must stand firmly on its own commercial feet. After a patchy period of boom and bust “incubation” support from central government, both offshore wind and solar energy are now competitive in mature markets. The Financial Times reported in September 2017 that since 2012 offshore wind energy costs had fallen by nearly a third to an average of £97/MWh – four years ahead of schedule – largely due to advances in technology, economics of scale, fast supply chain development and improved finance. Offshore wind then gained a state-guaranteed “strike price” for its output under for the Contract for Difference (CfD) scheme in Government energy auctions, overtaking nuclear. Solar energy is on a similar cost-reduction path but not currently eligible for CfD. Many people want this to change. A relaxation of planning constraints could put offshore wind in pole position within a decade as new ultra-large 8MW turbines currently being deployed giving way to larger 10MW and 12MW models. China is releasing a slew of cheap solar panels on to world markets after cutting its own huge solar programme. This follows a September 2018 end to EU price tariffs introduced in 2013 to protect the European market from low-cost Chinese solar imports. But there is also good news for small solar array operators too. 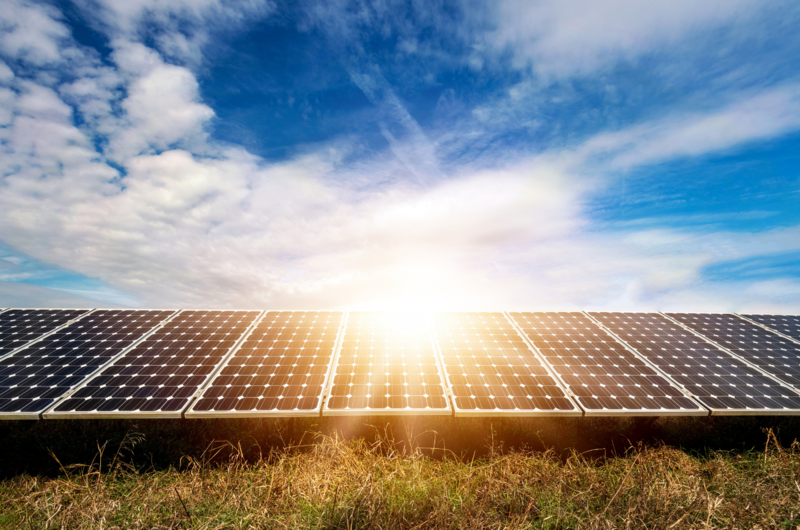 The Government’s Feed-in Tariff (FiT) for solar – which pays for spare power sold to the national grid – ends in April 2019 but will be replaced by the new “smart export guarantee (SEG)” that encourages low-carbon energy use. The Solar Trade Association’s (STA) updated assessment of the solar levelised cost of electricity (LCOE) – defined as the cost of electricity over a project’s lifetime – concludes that solar is on track to become the UK’s cheapest form of energy. STA estimates that solar LCOE during 2019 will be £50/MWh – £60/MWh, far lower than the £80/MWh forecast in 2014 and competitive against natural gas and onshore wind. STA says this could fall to £40/MWh by 2030, and through technology, auctions, networks access and a climate change levy exemption, it wants to see a level playing field with other energy sources. Renewables have already been incredibly good for the UK. 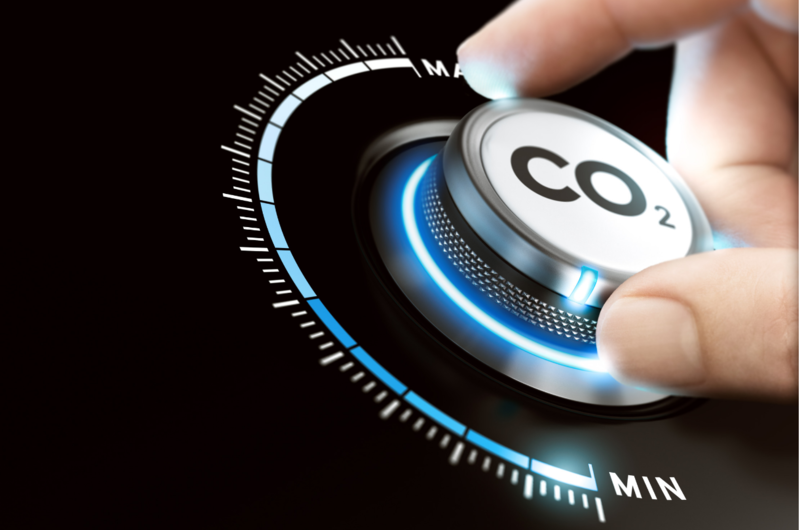 A Carbon Brief analysis shows that while the UK’s total carbon footprint has fallen by 38% since 1990, it could have doubled without the renewable energy revolution. In 1990, coal represented 67% of the UK’s energy mix but fell to 5% in 2017. Government figures suggest that the UK’s total carbon footprint in 1990 stood at 600m tonnes of CO2 (MtCO2) but fell to 367MtCO2 in 2017. However, the second-largest contributor (31%) was lower industrial and residential sector energy use as people turned actively to LED lighting, electric heating and other energy-efficiency measures. Looking on the bright side, NASA satellite data also shows that two of the world’s biggest carbon polluters, China and India, are now adding more than 2 million sq. miles of extra leaf area every year – a 5% increase on the early 2000s. China’s contribution comes from forest conservation and expansion programmes designed to counter soil erosion, air pollution and climate change. India is making a difference through intensive food crop cultivation with fertilisers and irrigation. But researchers warn that the positive effects will be offset by rising temperatures, adding that world atmospheric CO2 could reach record levels this year due to heating in the tropical Pacific which is expected to reduce carbon dioxide uptake in plants. Talking of rising temperatures, Met Office scientists predict that temperatures in each of the next five years up to 2024 are likely to be 1oC or more above pre-industrial levels. They also think that the next five years could also see an average annual global temperature rise greater than 1.5oC. It’s time for the many points of low-carbon light to come together. 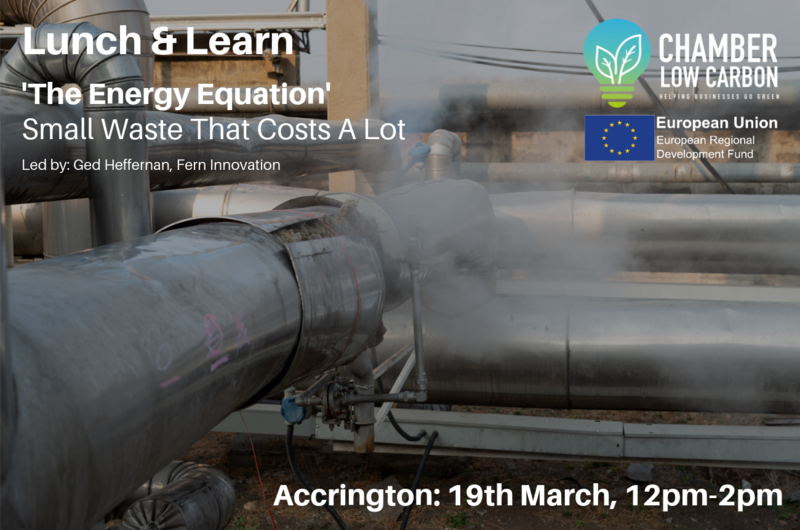 Presentation slides for the Lunch and Learn workshop ‘Rubber Duck & the Green Convoy’ Fleet Fuel Efficiency held on 4th February 2019. Led by Paul Jorgensen of Strategic Analytics Team.